Revlon Anti-Hair Loss ampoules belong to the professional line of hair products – Revlon Professional. They come in a claret box housing 12 vials x 6 ml. The glass vials are single-use and have no applicator, you apply the ampoule directly from the bottle. The substance is not only intended for hair nourishing but also scalp care. Pro You ampoules contain strongly concentrated plant extracts. 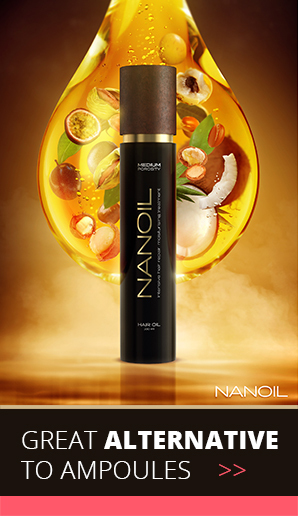 Safe and natural ingredients ensure the gradual effect of stronger and regenerated hair. Their task is to protect from the harmful external aggressors, stop thinning and increase density. 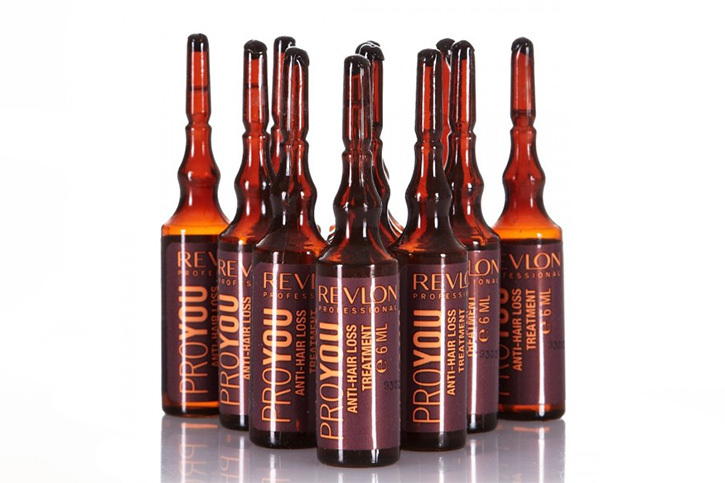 Revlon Pro You Anti-Hair Loss ampoules make use of plant ingredients that inhibit hair loss, nourish, add shine and vitality. Massage the liquid into your hair and scalp. There is no need to rinse it out. You must do the treatment after every hair wash and blow-dry routine. The scalp must be clean. Opening the vials is quite troublesome: you must break off the glass neck of the bottle. Be careful not to smudge your clothes. Make sure you spread the substance evenly on the scalp. Although this kind of product should be strong, Revlon ampoules work in a very gentle way. The effects are subtle and barely visible. 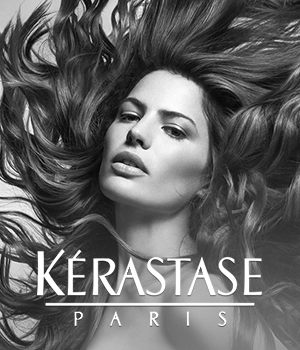 Surely, your hair will be softer and shinier whereas the scalp – clean. Unluckily, you must use up a few packagings of ampoules and treat your hair to a 3-month treatment if you want to stop thinning for good. That is why, you should reach out for other ampoules available on the market that stop hair loss more effectively. The ampoules work as a great conditioning shoot. They purify the scalp, protect strands from damage and leave them soft. You must buy more than one packaging of the ampoules to see full results of the treatment.